Players recently returned from a break where the 25 chips were colored up and raced off. The blinds have just increased to 400/800 with a 100 ante, and the average stack is just over 30,000. There were a total of 214 players, and we have trimmed the field to just over 100 players. Play will continue until the end of level 15, which will be approximately 1:45am. It's 7pm on St. Patrick's Day, and both flights of Event #15 $300 NLH are in play. Flight A is mid-way through Level 15, which means they're 15 minutes from bagging up for the night. 36 players remain from the original 185 entrants, and the average stack is just over 77,000 chips. Flight B is on their first break of the day. Registration is still open for 2 more levels, and there are already 182 entrants for this flight. Flight B is under way, and there are currently 114 players registered. The featured table is now streaming live at www.FoxwoodsLive.com. Flight A is now playing 600/1,200 blinds with a 2,00 ante, and is down to 48 players remaining from a starting field of 185. The average stack is currently 57,812. Players are now on their second break of the day. Tournament staff are coloring up and racing off the 25 chips. When they return, blinds will be 300/600 with a 100 ante. Cards are in the air for Event #15-A. Registration is open for 6 levels, or approximately 2:15pm, and you can re-enter if you bust. Players will play 15 levels before bagging up for Day 2. There is another flight for Event #15 at 5pm, with registration and re-entry open for 6 levels as well, or approximately 8:15pm. Happy St. Patrick's Day! 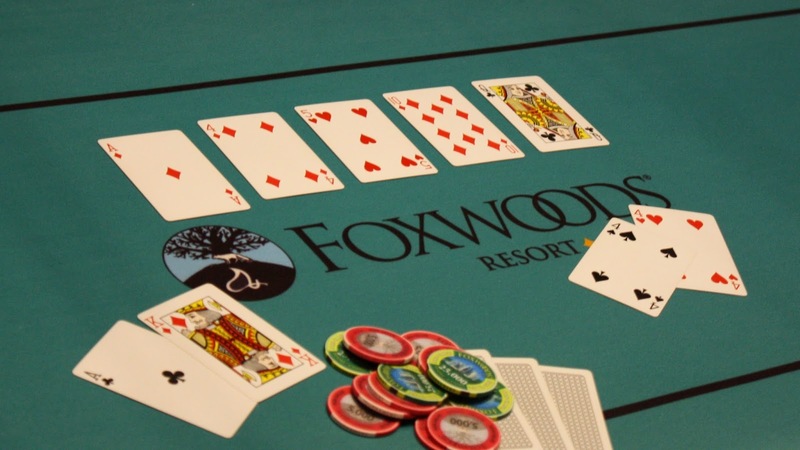 Today at the Foxwoods Poker Classic is Event #15, $300 NLH with a $75,000 Guarantee. There are two flights to enter, one at 11am and another at 5pm, and players combine and play down to a final table tomorrow at 12pm. We will be live streaming flight B at www.FoxwoodsLive.com. Players start with 15,000 in chips and each level is 30 minutes. Full structure is available here. 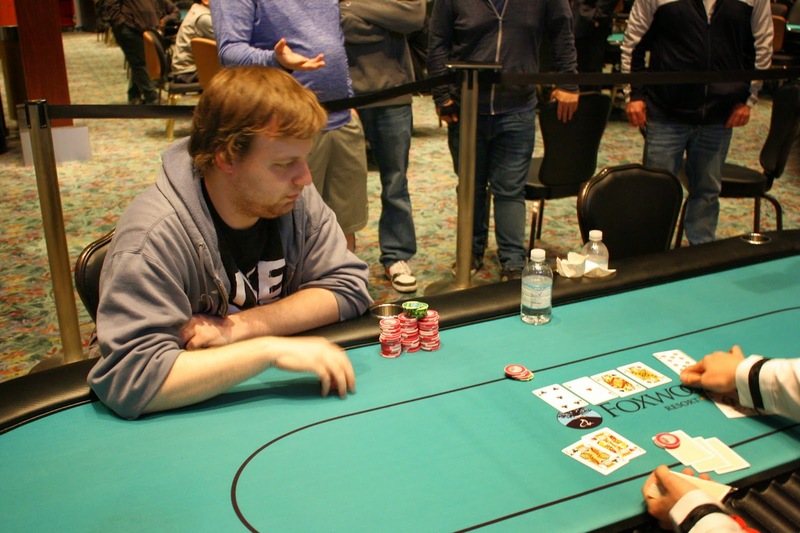 After a grueling heads up match, Joseph McKeehen had grinded Peter Everett down to about 10 big blinds, and Peter got the last of his chips in with [Qc][5c] against Joseph's [As][9c]. The board ran out a clean [8s][2d][8c][8h][6c] to bring this lengthy final table to a close. Joseph will earn a $61,285 payday along with the title, the trophy, and the watch. Congratulations, Joseph! 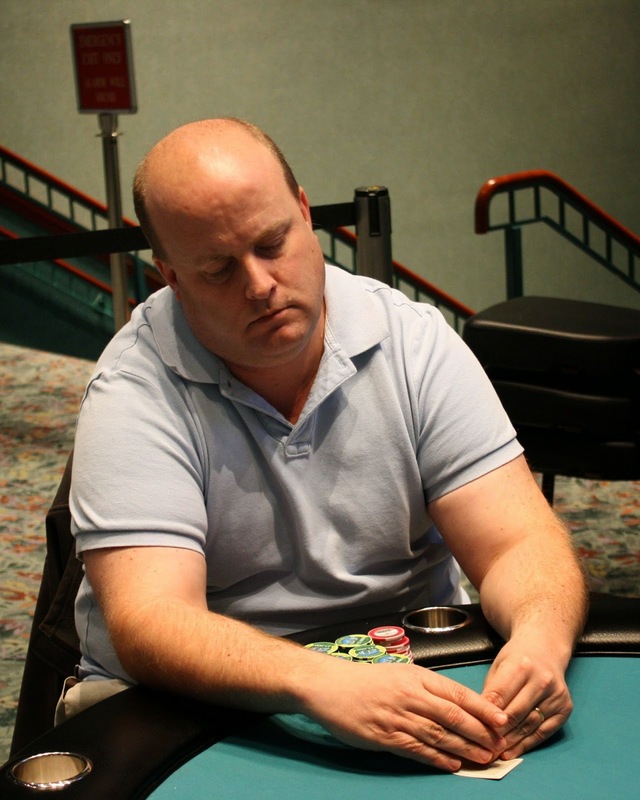 Joseph McKeehen and Peter Everett are still heads up, and both players have had the chip lead at points in the match. Just before the break, Joseph was all in with [Qd][6d] on a [Qc][Tc][5d][6s] board against Peter's [As][Qs]. 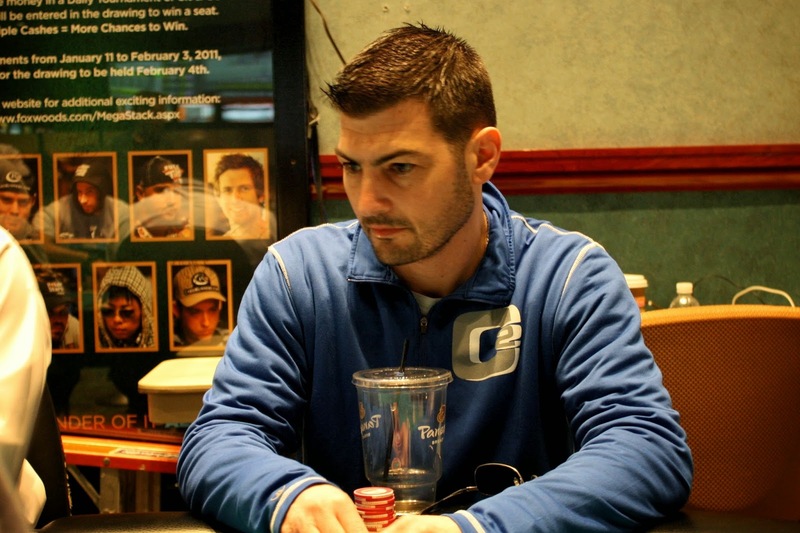 The river bricked off the [9h] and Joseph doubled up. Currently it's Peter in the lead with approximately 2.1 million to Joseph's 1.7 million. Players have elected to skip the break, and the blinds are now 25,000/50,000 with a 5,000 ante. 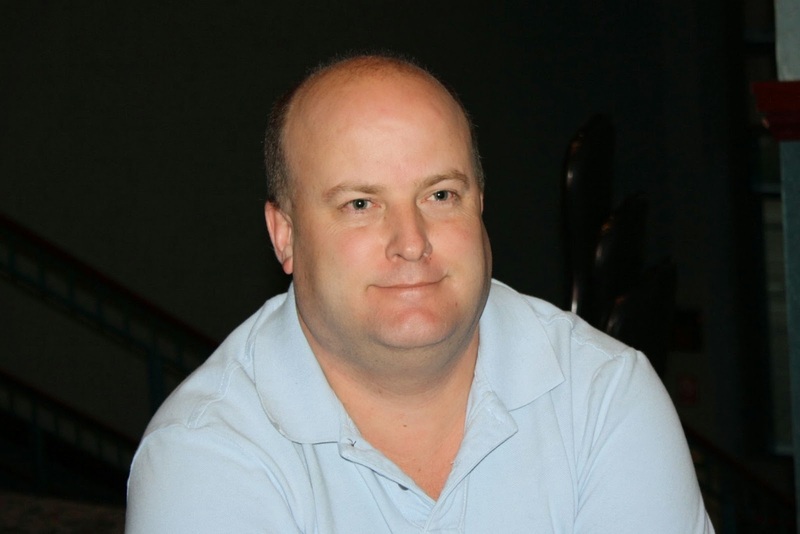 Peter Everett moved all in preflop and Joseph McKeehen snap called. It was another preflop cooler as Peter had [As][Qc] against Joseph's [Kh][Kc]. The [5c][Ah][Qs] flop was huge for Peter as he flopped two pair, leaving Joseph needing a king to survive. The [Jd] turn opened a few more outs for Joseph as he could make a straight with a ten. Miraculously, the [Td] popped up on the river. "Bink city," yelled one of Joseph's supporters. Joseph doubled up to about 1.4 million, and Peter dropped to around 2.6 million. With almost all of the chips on the line, Peter Everett got all in against Joseph McKeehen on a [Ad][4d][5h]. Peter was in great shape to double up as he had flopped a set with [4s][4h], up against Joseph's [Ac][Kd]. Joseph picked up a flush draw on the [Td] turn, but the [Qc] on the river locked up a double for Peter. With the board reading [2c][Td][9c][9h], Steve Happas moved all in and was snap called by Joseph McKeehen. Joseph flipped over [Ts][Th], and all Steve could say was, "What a set up" as he tabled his [Ad][9s]. Steve was drawing live to a one-outer, but the [5h] river wasn't it. Steve earns $26,400 for his 3rd place finish.